Trailhead: Take Hwy 28 North from Tahoe City and turn left on Reservoir Drive, just past the Tahoe Biltmore Casino. Turn right on Lakeshore Avenue, then left on Forest Service Road 1601 (by the iron pipe gate). Park in the lot just below the lookout. 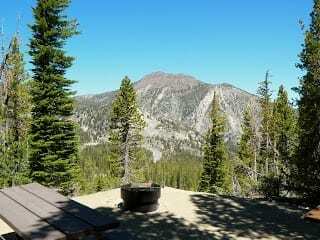 Description: During the summer the lookout is staffed with knowledgeable volunteers. Superb views of the Lake can be seen through the free telescopes. A short, self-guided nature trail explains the history of the North Shore of Lake Tahoe.